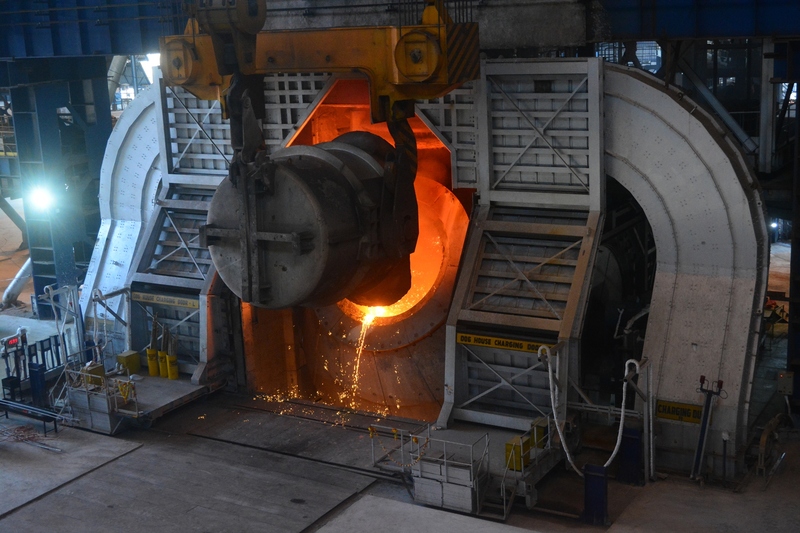 Bhubaneswar: Naveen Jindal controlled Jindal Steel and Power Limited (JSPL) has re-started its 1.8 MTPA Direct Reduced Iron (DRI) plant at the 6 MTPA Integrated Steel Complex at Angul (Odisha). Through DRI route, the company is targeting production run-rate of 1 Million Tonnes of crude steel in FY 20, through existing coal linkages, and aims to procure the balance requirements for optimum capacity utilization through e-auctions. The company is aiming to produce 6.5 Mt in of Steel in India in FY 20. JSPL’s DRI Plant at Angul – the first and largest of its kind in the world – is powered by India’s largest Coal Gasification Plant that converts high-ash coal to synthetic gas. “The turnaround of JSPL, powered by commitment and dedication of its 50,000 strong workforce for last 4 years, has been evident in all operational and financial indicators during the course of this fiscal”, said Mr. NA Ansari, Joint MD – JSPL. “Going forward with the production of both the Blast Furnace and DRI plants at Angul, we look forward to further accelerate our Debt Reduction roadmap under which we have successful reduced our consolidated net debt by over Rs. 6000 Crore from peak levels”, he added. With the further ramp-up of its 4554 M3 Blast Furnace along with the DRI plant going on-stream again, JSPL is optimistic of scaling up its capacity utilization significantly.